Shot at Chinese Gardens, Singapore. 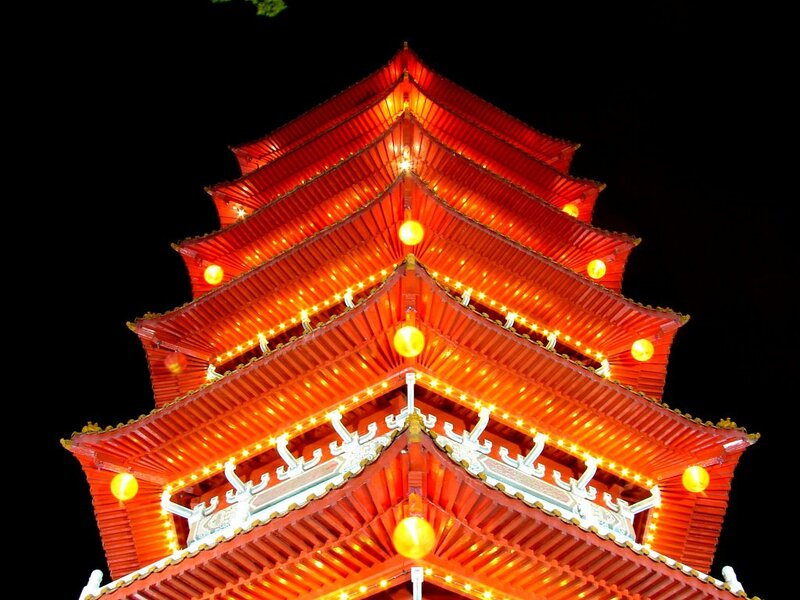 The famous yearly lantern festival is going on in Chinese Gardens, and as part of the festival, the pagoda has been lit with lanterns all over. Great sight to watch. Apart from this, they have also made replicas of the seven wonders which are also lit and looks gorgeous at night. Lovely shot, the exposure is perfect. I missed this last year, looks like its the same this year :( When is the last day? Thanks Ashish :) I guess it ends on 5th of october. Try to be catch it !